Steeped in the solitude of the mountains and islands of the Pacific Northwest, raised in the boisterous and irreverent East Vancouver arts community, Jack Garton’s music is a dance party for the vulnerable at heart. 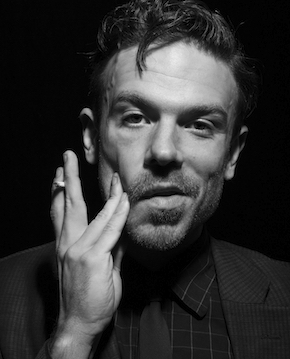 In the lineage of Weird and Wonderful Canadian songwriters Leonard Cohen, k.d.Lang, Corb Lund and Geoff Berner, Garton’s songs alchemize brokenness and pride, and celebrate the sheer "absurd difficulty of being alive" (Geoff Berner) with wit and grace. 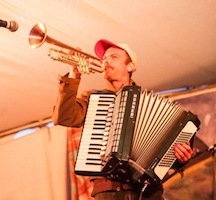 Over the last ten years while touring Canada, the USA and Europe, Garton has developed a distinctive voice on the accordion, mixing cajun, european and country styles with ease into an exciting roots music feast. 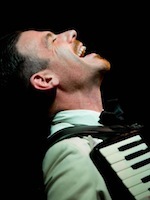 Whether backed by his powerful band the Demon Squadron or solo, armed with an accordion and trumpet, his shows are theatrical, fluid, confessional, and fun. They reflect a lifetime of devotion to the art of live music as well as an impressive breadth of life experience including his roles as a father and husband, local gravedigger, theatre artist and music teacher. Garton’s 2016 release "Move the Mess Around" is a manual for living with commitment, set to a roots roller-coaster soundtrack courtesy of his loyal band the Demon Squadron. "The sound is punchy and bright, with the instruments perfectly coordinated." 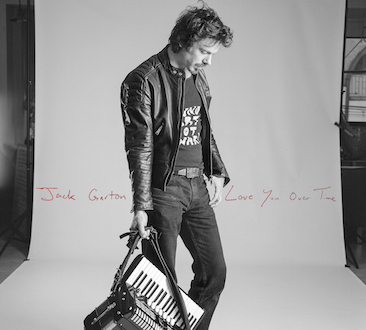 "Jack Garton will save the accordion"
This is a really catchy, well-written singer/songwriter/accordion record. The musicianship is solid, it’s well recorded. Clever rhymes, an overall point of view about just the absurd difficulty of being alive. I like it a lot."